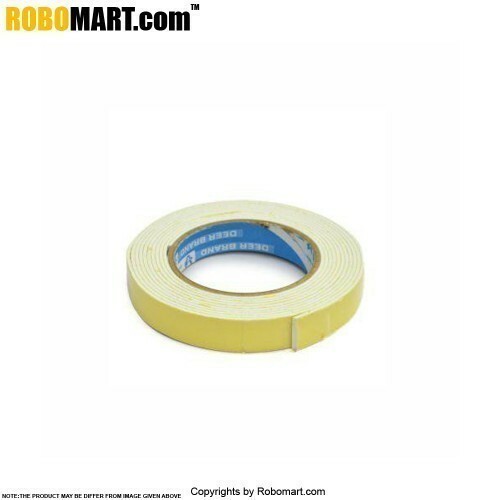 Double-sided tape is any pressure sensitive tape that is coated with adhesive on both sides. It is designed to stick two surfaces together, often in a way which is not visible in the end product, due to it being in between the objects rather than overlaying them. Suitable use for plastic, textile, paper, PVC, foam (Sponge), printing finishing, sign making, fabric, card board, nameplate, interior decorative and so forth. 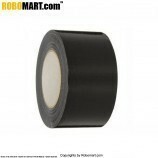 Not suitable use for both of solid and hard surfaces, as double-sided rubber tape is recommended to be used. 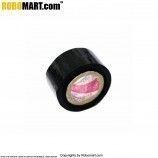 High initial tack, provide persistent performance and excellent wetting (grabbing) power to various soft and flexible materials. Excellent performance of temperature 100 C (212 F). Endurance in the condition of hot and cold and/or sudden change of the temperature. 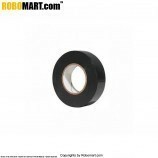 Also Searched as : In various designing process, In electrical/electronic projects, buy double sided tape, buy 3m double sided tape, buy tapes online, doublen sided tapes in india, online tapes in india, double sided tape online, how to make double sided tape, what is double sided tape, where to buy double sided tape, where to get double sided tape.